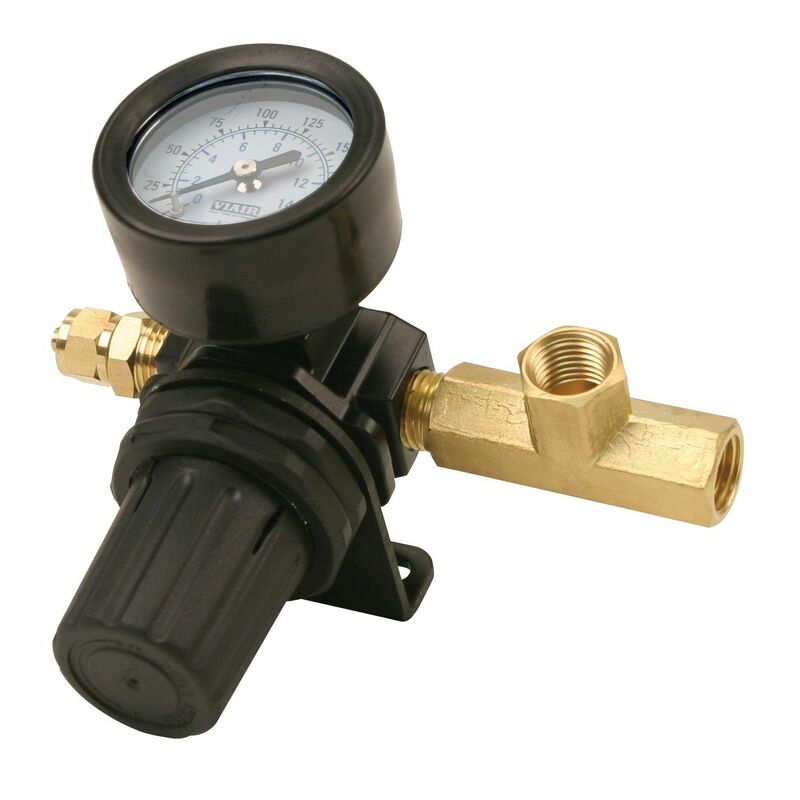 Used to regulate air pressure from an air tank to any pressure between 0-220 PSI, this pressure regulator is useful for installations that supply air to locking differentials, & air tools. 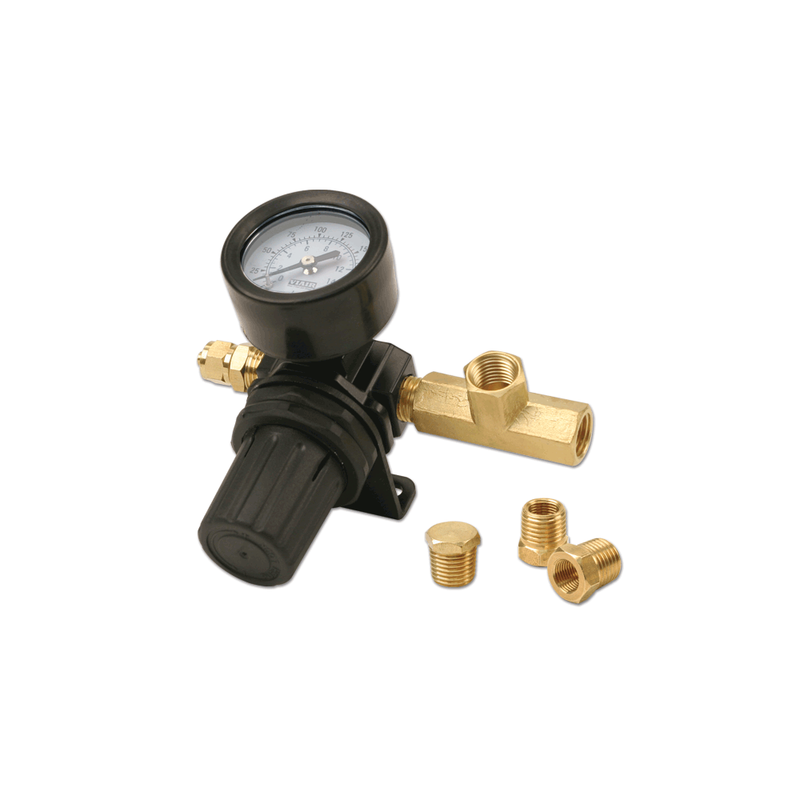 The regulator also provides an easy-to-read gauge that allows adjustment of inline pressure, a 1/4" NPT compression fitting for tank pressure side and a t-fitting that will allow regulated pressure to be fed to two locations. VIAIR Corporation offers the most comprehensive line of fractional horsepower DC oil-less air compressors & air accessories for both the on-and off-road markets available anywhere. 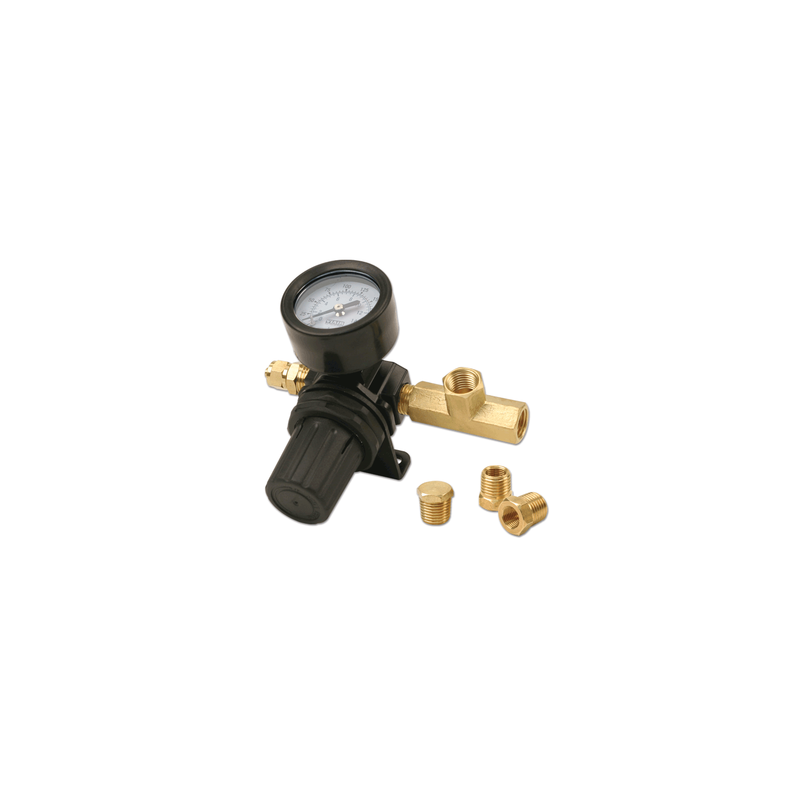 Our quality engineered compressors and components are also used in the OEM segment, and have become the industry standard for both 12-volt and 24-volt automotive aftermarket applications worldwide.